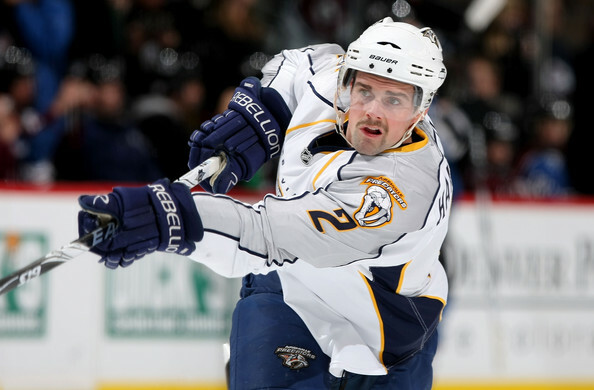 The Predators traded pending UFA defenseman Dan Hamhuis and a conditional 7th round pick in the 2011 Draft, to the Philadelphia Flyers for defenseman Ryan Parent. "If Philadelphia does not sign him prior to the 2010-11 season, Nashville will transfer its own 7th round pick in 2011 to Philadelphia. Also, if Philadelphia trades the rights to Hamhuis prior to July 1, the conditional pick will not be transferred." "Our intention is to get him signed prior to [July 1], and that is what our aim is at this point in time," Flyers general manager Paul Holmgren said. "The sooner that we get going on trying to get this done, the better." Hamhuis played at least 80 regular-season games in each of his first five seasons. "Dan Hamhuis is a good all-around defenseman," Holmgren said to NHL.com. "He's a guy who can play lots of minutes and he can play in a lot of different situations, from power play to killing penalties. He is another athlete we'd like to add to our team to continue to improve our defense." 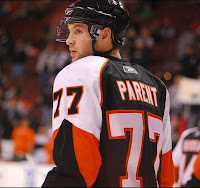 Philadelphia and Nashville have become preferred trading partners (which have mostly benefited the Flyers), as evidenced by the fact that Parent was originally drafted by, you guessed it... the Nashville Predators in 2005. He was shipped to the Flyers in the infamous Peter Forsberg trade. In 2007, Nashville traded pending UFA's Kimmo Timonen and Scott Hartnell to the Flyers for their own 1st-round pick (No. 23 overall) that came to the Flyers as part of the aforementioned Peter Forsberg deal. This one seems to be a great deal for both teams. Nashville gets someone they value for a player they were not going to be able to re-sign. Philadelphia gets a shot to sign someone who will upgrade their defensive corps.